President Emmerson Mnangagwa has declared the first Friday of every month a national environment cleaning day. No doubt Rwanda was the inspiration for this move - Umuganda day of community cleaning was started by President Paul Kagame to build community spirit after the 1994 genocide. 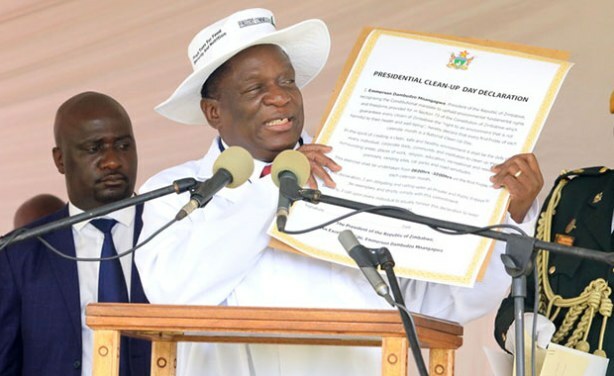 President Emmerson Mnangagwa holds the Presidential Clean-up Day Declaration which he launched in Highfield, Harare.